Apple has such a halo around it that when the head of it's retail stores left the company to head up J.C. Penney, many people thought it was an amazing move and would result in the retailer of low-cost merchandise becoming more like one of the most storied tech companies of our lifetimes. I certainly expressed skepticism about this happening - Ron Johnson's vision was to stop having sales (product markdowns) at the store and building stores within stores and bringing in more high-end merchandise. About a decade ago an electronics store located in the northeast of the US called The Whiz was closed down. Cablevision had bought the store a few years earlier and the marriage made sense as the cable company was able to attract large amounts of people into its stores because they needed to get their cable boxes repaired or upgraded. One of the decisions the new owner made was to stop having sales at the retailer. Of course this was done by a management team that didn't understand retail - and apparently didn't see the value of having weekly circulars of sale items in newspapers which compelled to public to make a visit. Once customers get used to visiting stores because of sale items, it is incredibly difficult to get them to come into a store without them. Wal-Mart is typically singled out because it advertises every-day-low-prices instead of sales but this company is an exception - not everyone can be Wal-Mart. Something J.C Penney has certainly painfully learned. It's worth pointing out that Johnson may never have learned this lesson which is party why he was forced out. Here is a comment he made which obviously was not accurate in hindsight. Withdrawing from our promotional model to a more everyday model has been harder than we anticipated but it doesn't change our conviction that the promotional model had run its course, and we have a far better path forward. What is more amazing is Bill Ackman's Pershing Square Capital made major investments in the low-end retailer and was a huge backer of Johnson. Shortly after the changes were made things looked terrible and Ackman defended the decision and direction the company was going in. Ackman is regarded as one of the smartest investors out there but lately seems to be making some big mistakes. In fact this investment decision resulted in his investors losing almost half-a-billion dollars on the transaction. The moral of the story is it is a lot easier to sell more to existing customers than it is to get into a new market. 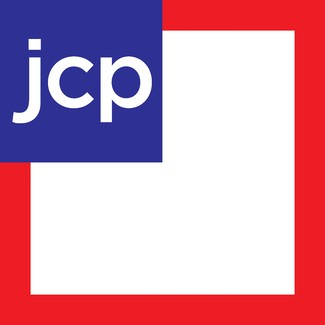 In the case of J.C Penney they were basically signaling to old customers that thy shouldn't come to the stores and this was done well before the new stream of customers started coming in. Peter Radizeski talks about this incident from a different perspective, specifically knowing your customers, in a well thought-out blog post which transcends retail and can be applied to any business.